It’s Passover! The absence of bread gives us an excuse to make this decadent dessert, adapted from The Jewish Holiday Kitchen. First comes an airy chocolate soufflé – don’t be intimidated by the word ‘soufflé,’ it’s incredibly easy! 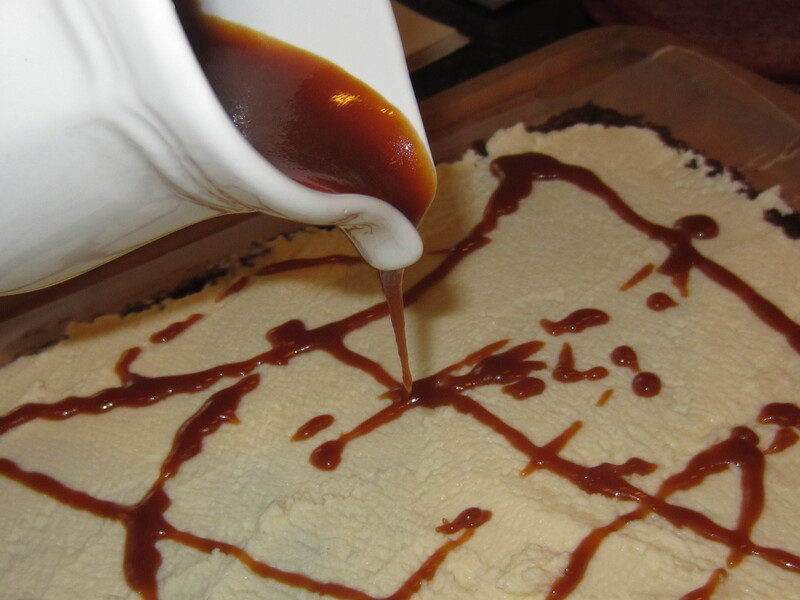 Then we make a quick batch of whipped cream and drizzle it in caramel sauce. 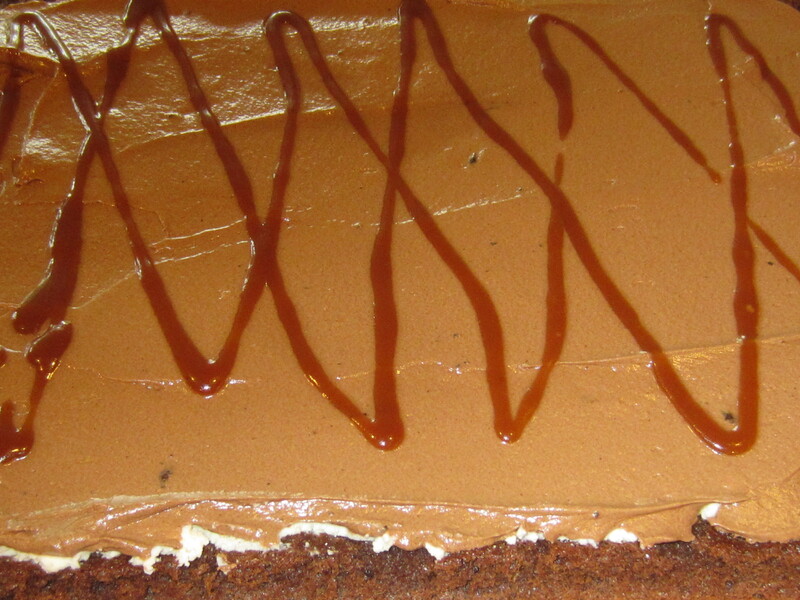 Add a layer of smooth mocha filling, and some more caramel. 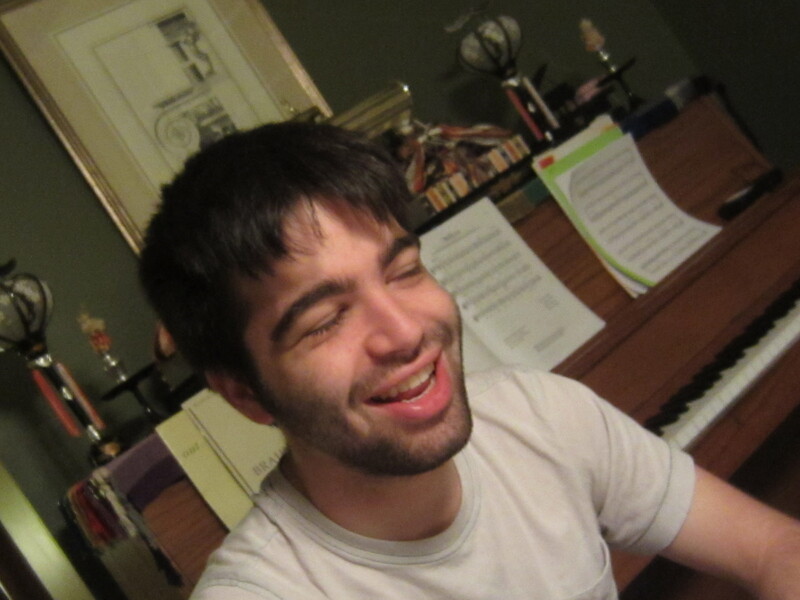 It’s spring break! Be spontaneous! 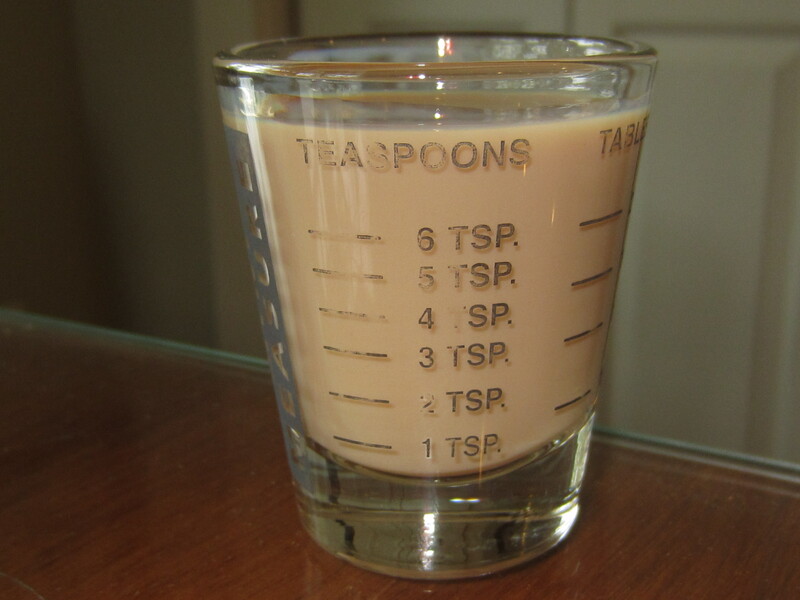 Spike the mocha filling with Bailey’s to give it that extra kick. Roll it up, refrigerate and cover in some more mocha cream to hide imperfections. 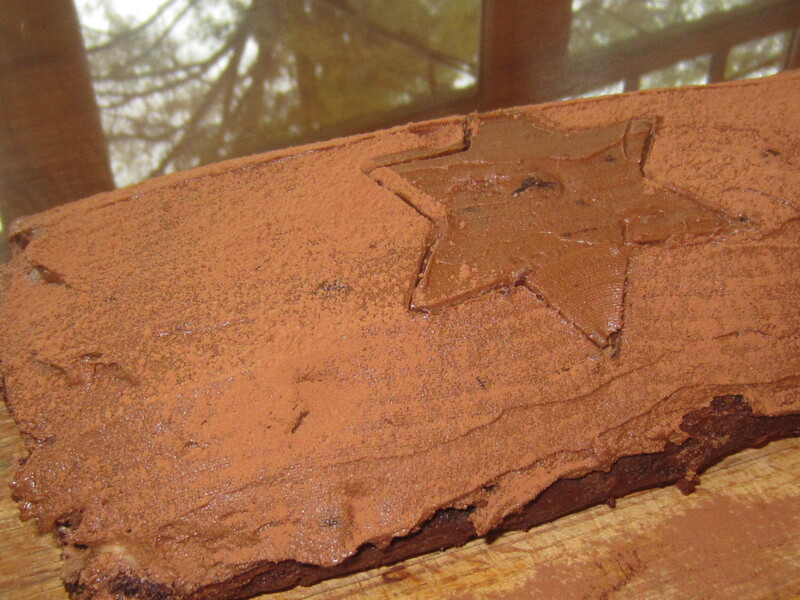 Sprinkle with sifted cocoa powder and cut out a star of David! You’re done! Just wait for the Bailey’s to kick in. Preheat oven to 350 degrees. Grease a 10 x 15 jellyroll pan and cover with wax paper. Grease again. In a heatproof bowl, pour hot coffee over chocolate. Stir until chocolate is melted. Cool slightly. Beat the egg yolks with 1/2 cup sugar until fluffy and pale yellow. Add the chocolate mixture to the yolks and beat until well combined. Beat the egg whites until soft peaks form. Add 1/4 cup sugar, beating until stiff peaks form. 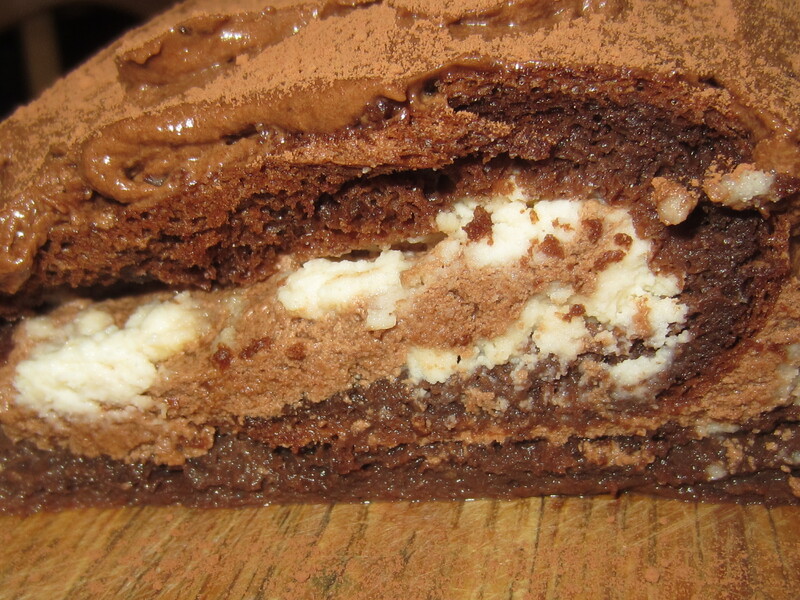 Fold the egg whites into the chocolate mixture. Place batter in pan and bake 15-20 minutes, or until the roll is slightly puffed and firm. Remove and cool for 5 minutes. Than place a damp towel over the roll and cool completely at room temperature (this prevents the roll from drying out). When ready to use, remove the towel from the roll and sprinkle with cocoa. Place an ungreased sheet of wax paper over the roll and turn the roll upside down. Remove the pan and the first piece of wax paper. Whip the cream with the vanilla and confectioners’ sugar. Cream the butter and sugar until well-combined and fluffy. In a heatproof bowl, pour the hot coffee over the chocolate and stir until melted. Cool slightly. Add to the butter mixture and blend well. Add the eggs and Bailey’s and continue beating until very smooth and light. Combine the sugar and water in a saucepan over medium heat. Swirl the pan occasionally. The mixture will boil, turn down the heat a bit and simmer until the sugar dissolves and turns amber. Immediately remove from the heat and whisk in butter, cream and salt. Spread the whipped cream evenly over the soufflé. Drizzle with warm caramel. Glop a little more than half of the mocha cream on top and spread to the edges. Drizzle some more caramel. With help from the wax paper, roll everything up (starting with one of the shorter ends), turning it so the seam is on the bottom. Wrap carefully and tightly in wax paper and refrigerate for a few hours. Before serving, spread the remaining mocha cream over the roll to hide cracks. Sprinkle with sifted cocoa powder and add a design, if you wish!